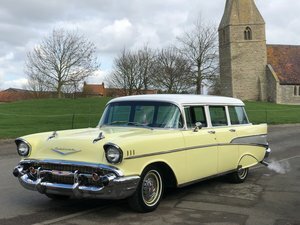 I am selling a 1957 chevrolet bel air 4 door sedan, white, it has a 540 big block Chevrolet engine with an 871 BDS supercharger, big horsepower engine. Rear end tubbed with big rubber. 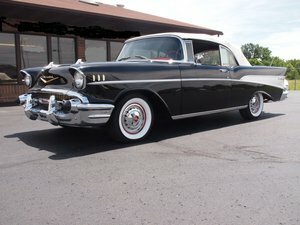 The interior and exterior is in mint condition not one mark on the car throughou. Car is fully detailed underneath and on top. Car runs perfectly well, this is an extremely regretful sale. This car was a body off chassis restoration. Please call Dean on +4407891582180. I'm as,I got £85000 negotiable.